Our films reduce glare, cut 99% of harmful UV rays, prevent accidental window shatter, and improve your comfort. Auto window tint is our specialty! Our films are guaranteed to improve the comfort of your vehicle by cutting heat, glare, and 99% of UV rays. We have multiple vehicles that are able to come out to your business, garage, dealership, or home. Mobile tinting is the most convenient way for you to get professional window tint in the Valley. If you’re looking to cut your cooling costs for your business we can help. We have experience working with many businesses across the Rio Grande Valley. 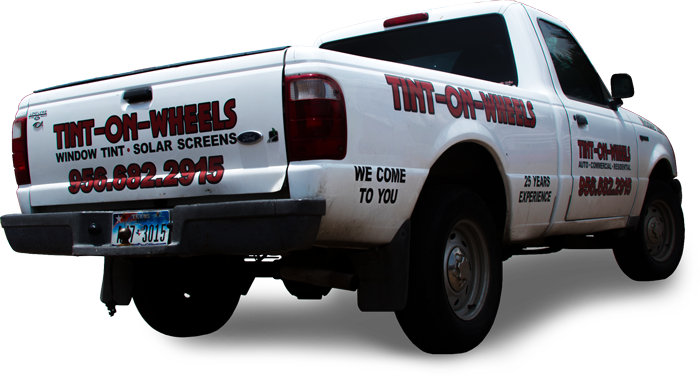 Tint On Wheels services the auto, rv, residential, and commercial industries in the Rio Grande Valley and beyond. Our films reduce the amount of heat that enters your vehicle or building, cuts 99% of harmful UV rays, and protects you in case your window is ever shattered. The Rio Grande Valley is hot year round. Cut your cooling costs, and protect your home from 99% of harmful UV rays with residential tint. 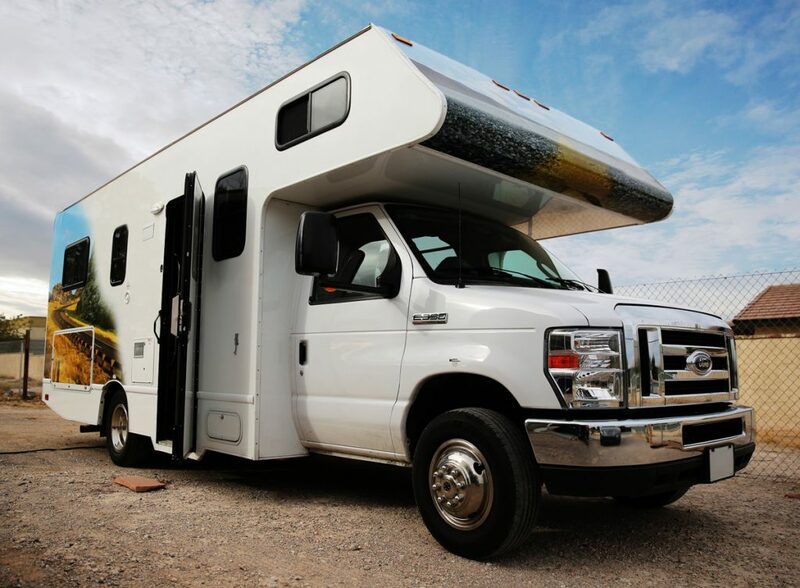 Keep your RV or Mobile Home cool no matter where you take it. Window tint helps secure your vehicle, as well as lower your electric costs. We can work on any make or model. Give us a call today! Tint-On-Wheels is a McAllen window tinting business that can meet your demands every time, regardless of the nature of your problem. We have been in business since 1998, and today we are a leading company, providing a high quality service of unrivaled quality. Get $5 Off Your Next Purchase. We occasionally send out emails with promotions for our services, sign up today and get $5 off of your next purchase. © 2019 | Sitemap | Site Resources Built by Texas Website Management the best McAllen Web Design Company.